We have made it almost to the end of the school year. 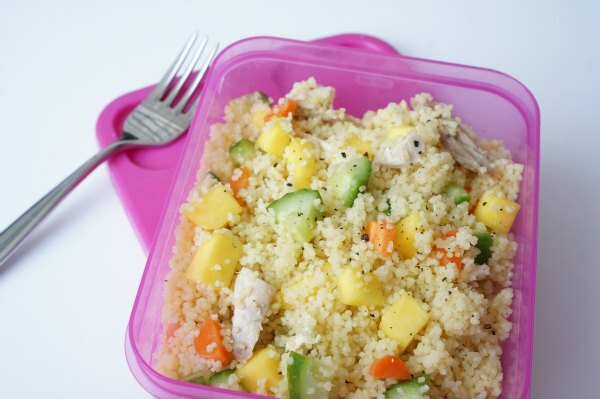 Which means I have filled my girls’ lunch boxes with a wide variety of different dishes. 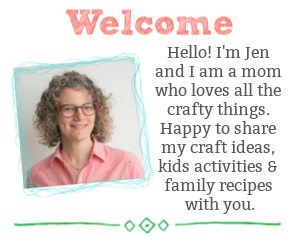 From sandwiches to soups, I am always searching for recipes that they will enjoy and more importantly…dishes they will eat. As the school year winds down comes the hope that we will continue to make healthy and delicious food choices – even in those lunch boxes. 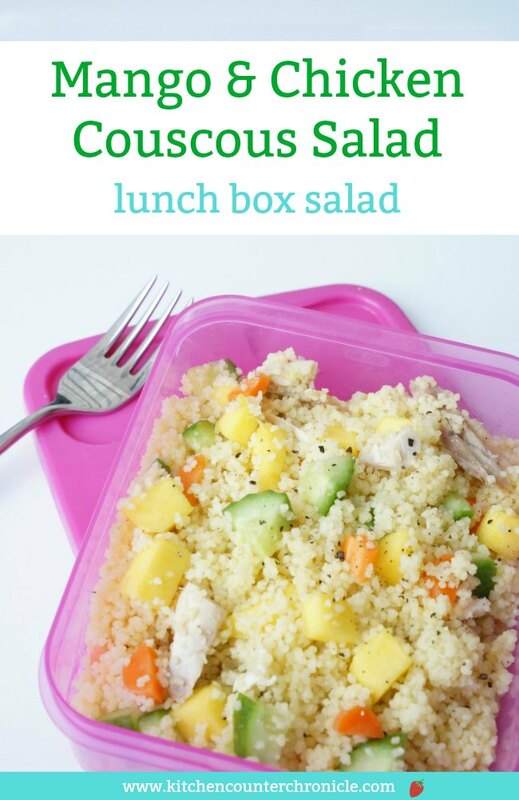 Couscous is a wonderful option for the lunch box. 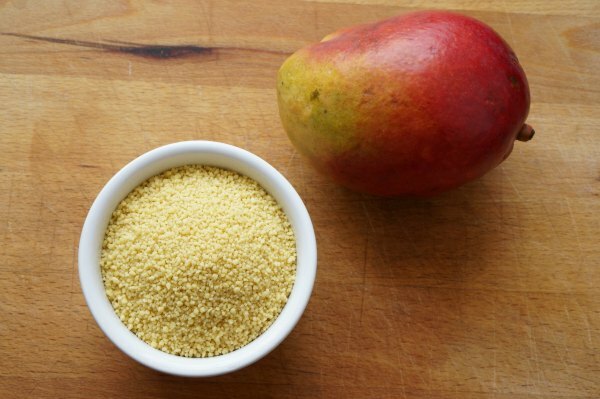 Not only does couscous need about 5 minutes to cook, it soaks up a vinaigrette without becoming soggy, like a leafy salad. This means that I can make a big batch of couscous salad on Sunday night and it will last us all week long. 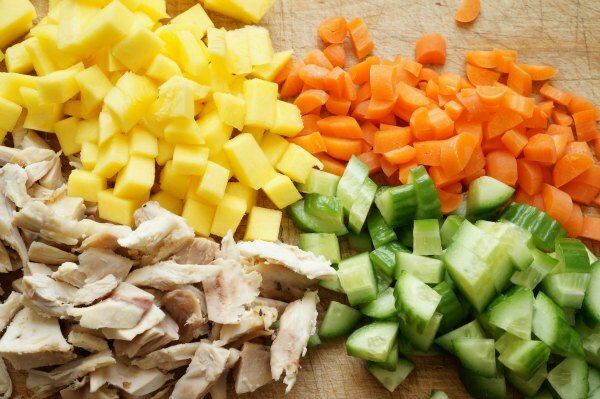 This couscous salad is packed with chicken, mango, cucumbers and carrots. 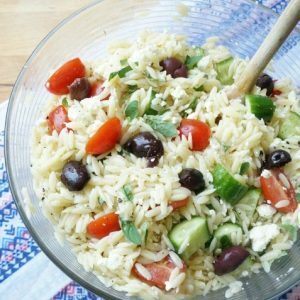 Customize the salad to meet the needs of you and your family and add this to your New Year’s healthy lunch option recipe list. Bring a small pot with 2 cups of water to a boil. Pour in the couscous and turn off the heat. Let the couscous sit for 5 minutes, until all the water is absorbed into the couscous. 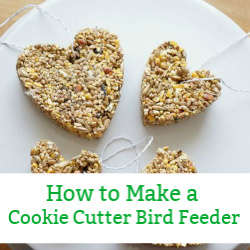 Fluff with a fork and set aside to cool. Whisk together olive oil and lemon juice in a large bowl. 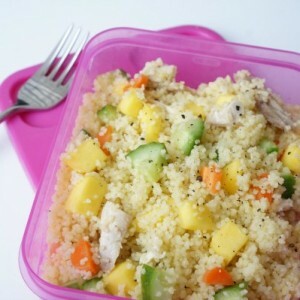 Pour cooled couscous, chopped chicken, mango, cucumber and carrots into the vinaigrette. Stir until everything is coated with the vinaigrette. 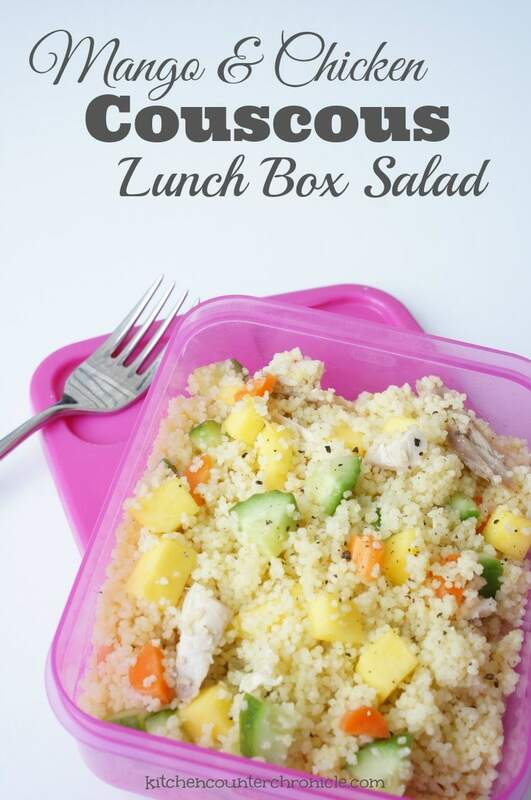 A deliciously light couscous salad that is perfect for the lunch box or a potluck party. Fresh flavours that everyone will love.